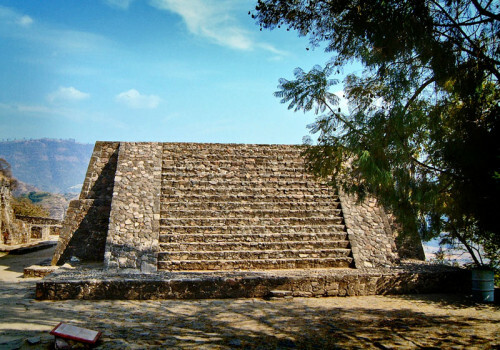 Structure II Structure II of the Cuauhtinchan complex is a simple pyramidal base, which sits directly outside the Cuauhcalli. 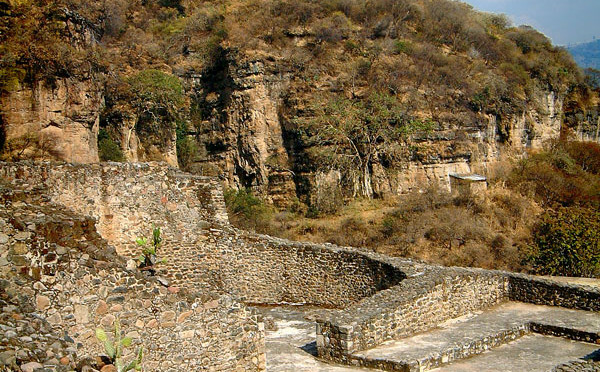 When the site of Cuauhtinchan was rediscovered in the early 20th century, most of Structure II had collapsed and fallen down the Cerros de los Idolos (Hill of Idols). 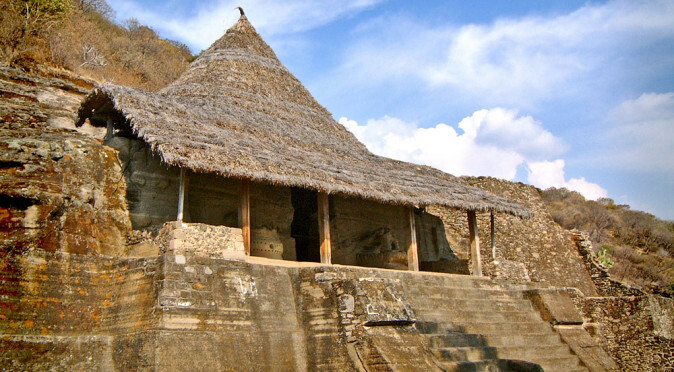 Therefore the structure seen today is largely reconstructed and it is therefore not known if it was once topped by a wooden temple enclosure – although it is most likely that it did. Structure II defines the eastern flank of a small ceremonial plaza, with the Cuauhcalli to the north, Structure VI to the west and the steep slope of the hill to the south. 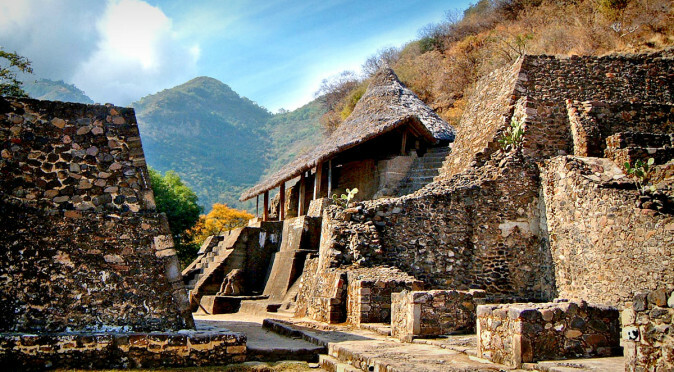 It is quite incredible that despite the cramped space they were confined to, the designers of Cuauhtinchan’s ceremonial centre still felt it necessary to build a squared plaza. 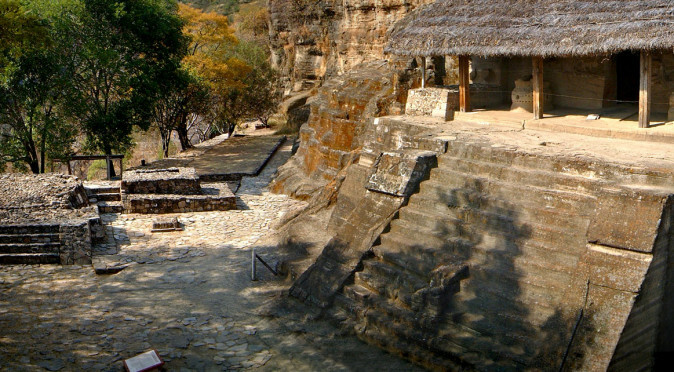 This possibly confirms the importance of the archetypical Mesoamerican format of arranging temples around a squared plaza which is aligned to the path of the sun – which in most sites could be perceived as a grandiosity, but here it is clearly proven to be essential to their religious practise.